Driverless cars – how close are we? 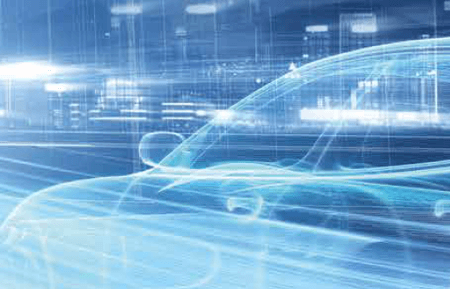 The last 20 years have seen major technological advances in vehicle automation and car manufacturers and tech companies are getting to grips with the possibilities it presents. Volvo, BMW, Ford and Honda are leading the way by introducing innovations such as Autonomous Emergency Braking systems, low-speed driving assistance systems and park assist. Apple have revealed Project Titan, their first foray into the world of car technology. In the UK, a driverless car has been tested in Milton Keynes and a fleet of 40 could be available for public release later this year. Tesla and Uber are also experimenting. These advances have huge potential – certainly to help those unable to drive: the elderly, disabled and those without a driving licence. A recent report by KPMG showed that driverless cars could also benefit the UK economy by £51 billion by 2030, citing increased productivity, 25,000 less crashes and better fuel economy as some of the contributing factors. Extensive research into human factors is being conducted by Leeds academics, looking at whether humans are able to intervene if something doesn’t go to plan in a fully autonomous self-driving car. A number of issues need to be addressed before driverless cars can be rolled out. Insurance cover and who should be held liable in case of a crash or human injury. The potential loss of driving-related jobs in the road transport industry, such as taxi drivers, bus drivers, delivery drivers and similar roles, causing a knock-on effect on the automobile insurance industry. Cyclists and pedestrians need to be considered. Autonomous vehicles will prevent collisions but aren’t yet fool-proof and have variable performance in different weather conditions. As drivers become more and more used to not driving, their proficiency and experience will diminish. The software and technology needed to build a driverless vehicle will be expensive, and costs will need to be recouped through high sales prices, so consumers may decide to stick with traditional vehicles. As cars will be directly operated from the internet, the system will need nationally spread, superfast WiFi capability. With the numerous challenges ahead before these innovations come to fruition, it is estimated that we are at least 20 years away from seeing driverless vehicles on our roads in any high numbers.